Rhubarb and juniper, in a gelée. | ostrich milk. Study: RHUBARB. 2.6 Rhubarb pretends to be a dessert wine. Here is a simple gelée made to see how rhubarb and juniper pair together. This worked. Flavor: Very pale sweetness. Refreshing, lightly tart. Less piney than mildly astringent. Juniper seems to draw out a tropical component in rhubarb. Like that dessert wine cocktail someone orders at brunch out of an urge to look sophisticated, bur secretly kinda likes. Process: Reserve about 3 tbsp. juice to bloom gelatin. Crush juniper berries with the side of a knife or rolling pin. 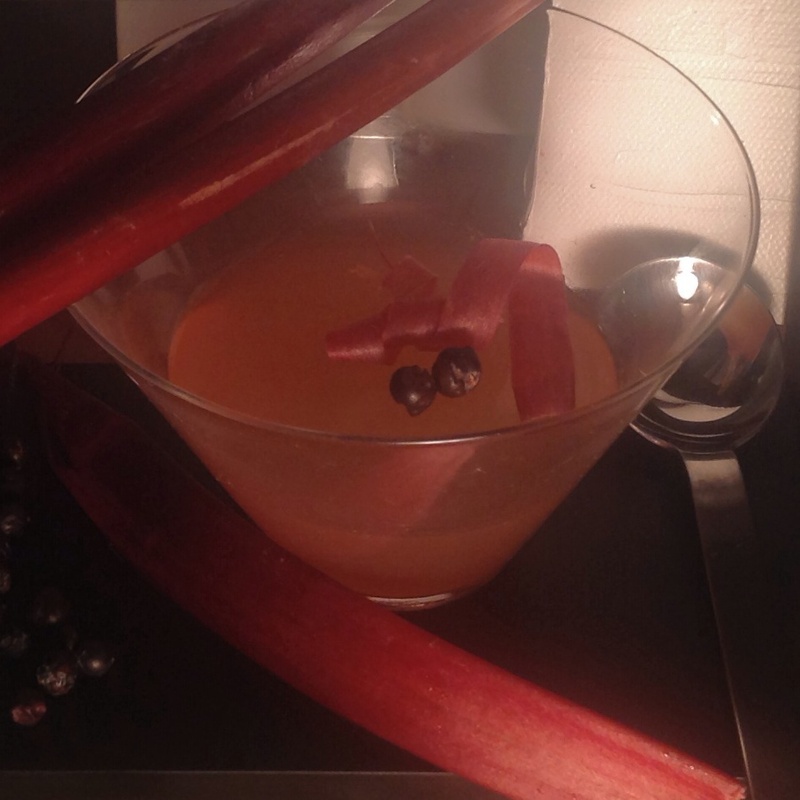 In saucepan, make a weak rhubarb-juniper syrup: on very low heat, warm juice with crushed juniper. Add sugar to warm juice to dissolve. Allow to simmer at low temperature for about 15 min to infuse juniper flavor. 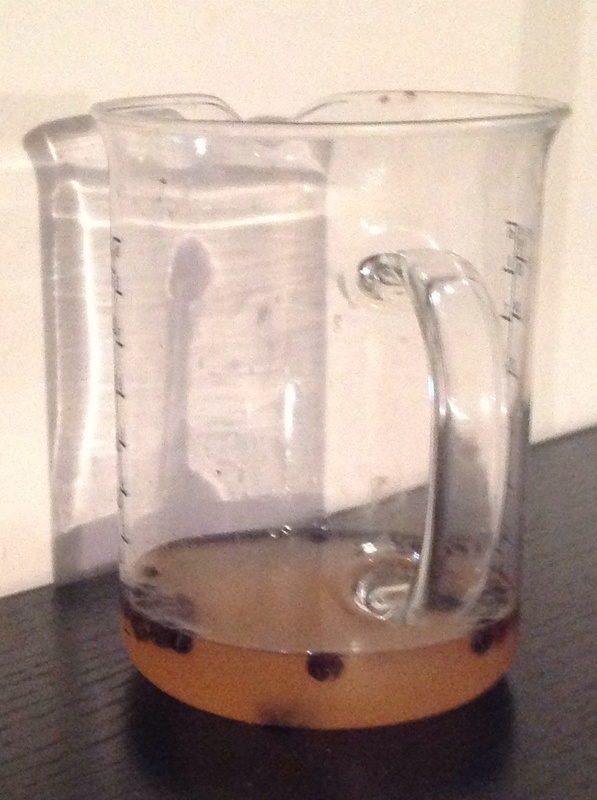 Juniper berries vary a lot in strength. Taste the mixture often and be judicious. Also, remember that flavor intensity will be reduced when the mixture chills. 1 cup + 3 tbsp. rhubarb juice, chilled. This entry was posted in Rhubarb, Studies and tagged dessert, gelee, juniper, molecular flavor pairing, recipes, Rhubarb, Studies. Bookmark the permalink. Pingback: Rhubarb sneaks dessert while longing for elves. (Skyr panna cotta) | ostrich milk.